That’s why storytelling is so effective and why headlines that trigger emotions drive more traffic. (Here’s a handy headline analyzer from the Advanced Marketing Institute you can use to test your headline’s emotional punch). One way to improve your emotional writing, is to simply focus on the emotions you want to evoke. Then, select a few words designed to trigger that response and utilize them. Easy but effective. 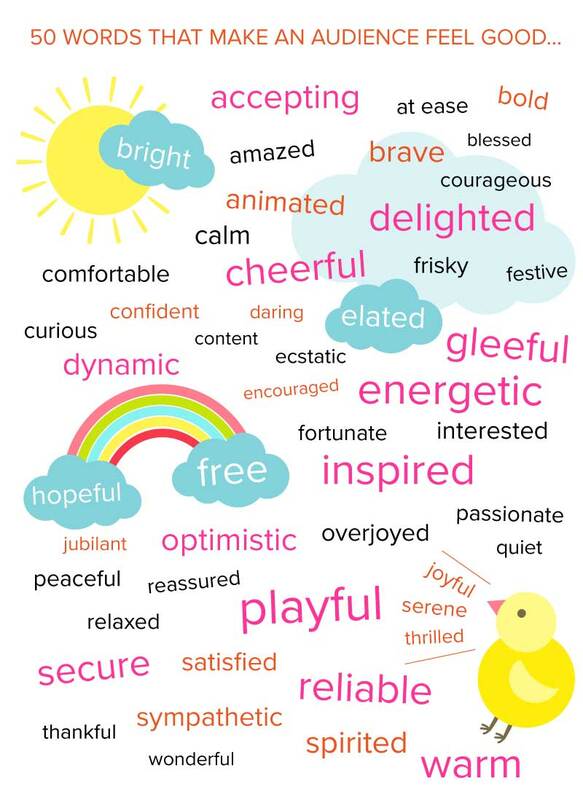 To make crafting emotional copy a little easier, here’s a handy list of words that evoke happiness and sadness. Give this tip and try and let us know how it goes. Language is abundant and evocative and just plain fun. 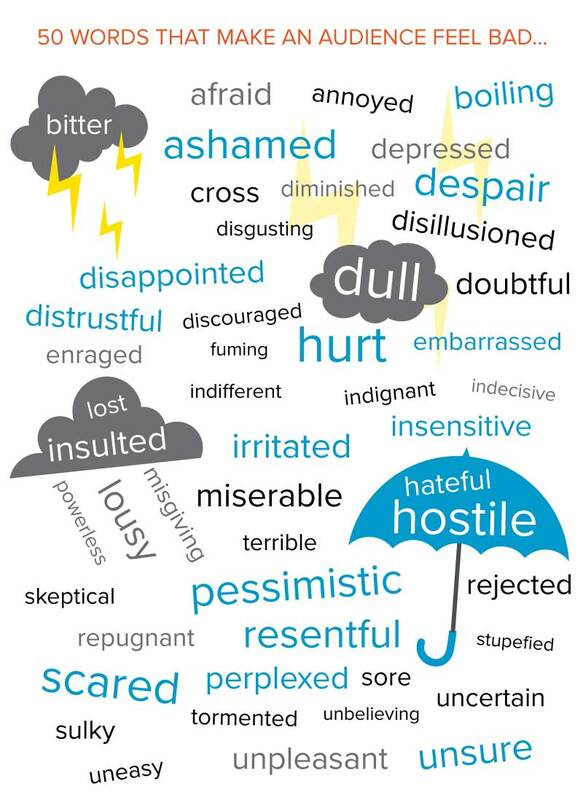 We hope this starter list of emotional words is handy.